Some women love chocolates & flowers. Well I love chocolate & I love flowers just not on Valentine's Day (well maybe a few flowers). 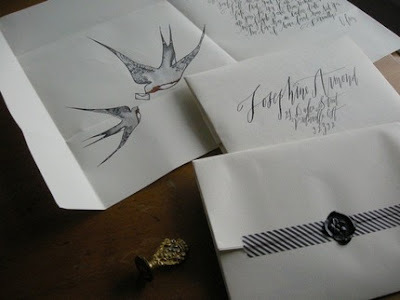 But what I would LOVE is a gorgeous handwritten letter. 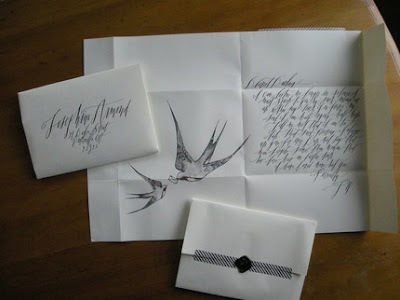 It doesn't really matter if the writing isn't that of the sender it's the thought of the content. Anyway you can find these over at Etsy from a shop called Hello Handmade Paperie. They are making these through Valentine's Day and 10% of the profits go toward Red Cross relief for Haiti. Now what girl wouldn't want one of these?! Thanks DesignSponge for your post of this!! They're so pretty!! !